The central government will roll out Pradhan Mantri Jan Arogya Yojana in India next month. Delhi government decided not to implement this scheme. But now Delhi CM has announced that it will implement this scheme under a new name. The name of this scheme in Delhi will be Mukhyamantri Aam Aadmi Swasthya Bima Yojana – Ayushman Bharat. Access to medical treatment – There is not enough medical opportunities for poor and needy as medical expenses are high. The Delhi government is all set to implement this scheme keeping the needs of such beneficiaries in mind. Affordable treatment – With this scheme, the Delhi government will be able to offer good treatment at affordable costs. This project offers cashless and paperless treatment needy individuals. Medical insurance for family – This scheme offers applicants with medical insurance coverage of Rs. 5 lakhs. The policy holder as well as immediate dependents will receive the benefits of this health insurance. Number of beneficiaries – The Delhi CM desires to offer this insurance to as many as 2 crore eligible residents of this area. Empanelled hospitals – The applicants will receive free treatment if they take admission in only those medical centers, which are already listed. Disease packages – Applicants will receive this free treatment for secondary and tertiary diseases. The respective department will prepare separate treatment packages. Not much has been announced by the Delhi government. Only people that are legal residents of Delhi and have proper residential documents will be able to participate under this scheme. No income related criterion has been highlighted. All applicants must possess their Aadhar cards. All interested applicants will have to register offline to attain the benefits of this scheme. The candidate has to reach the nearest empaneled hospital. Each medical organization must maintain a special registration counter. Here, Arogya Mitras will get the details from applicants and help them in filling in the application. All applicants will be filled in with special software that has especially been designed to record the details of policy holders. Once this document has been filled in, the Arogya Mitra will hand over the scheme card. In case Delhi government makes any changes, and comes out with new announcements, we will update them accordingly. The scheme is expected to roll out in time to keep pace with Jan Arogya Yojana. 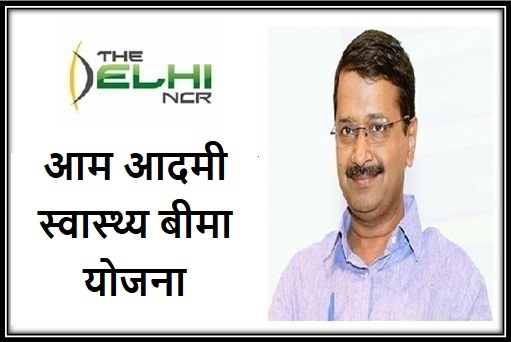 The success of this new project depends on the promptness of the Delhi government. Some people think that it is a political strategy of the authority. Delhi authority is expected to come out with the implementation details soon.